Welcome to Hartung Sales and Service, Inc. 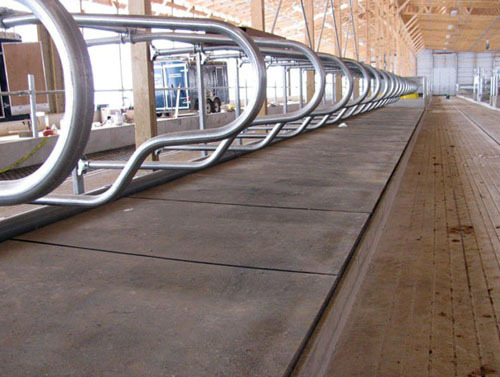 Provide a safe, comfortable, relaxing environment for your herd with Humane recycled rubber flooring. Our mats are perfect for stalls, trailers, wash racks, walkways, and aisleways, and can be custom manufactured to meet the exact specifications of your project. Humane's Supreme Comfort Pads have the proven technology to provide a system for your herd which offers high quality, extreme durability and value. We take pride in providing a line of products which reduces overall costs while increasing production.